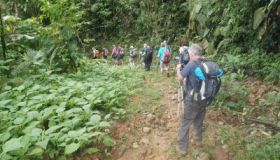 With its diverse topography, Costa Rica makes it possible to hike in a cloud forest, visit an active volcano, and relax in a steaming hot spring all in the same day. Adrenaline junkies can choose from a wide variety of activities, among them zipping across canopy lines hundreds of meters long, canyoning, whitewater rafting class II to IV rapids, sea kayaking, mountain biking, surfing, diving, snorkeling, and more. Ticos (the colloquial term for native Costa Ricans) are a mix of races. Although most of the country’s four million inhabitants descend from Spanish immigrants, many family lineages can be traced to Asia, Africa, Central America, and myriad other European countries. Ticos are spirited, friendly, educated, and kind; they are also often exceedingly polite and go out of their way to please. The tropical zones of the American continent—where Costa Rica is located—contain some of the most diverse species and ecosystems in the world. 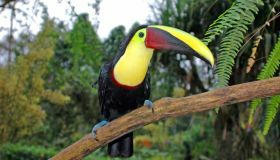 It’s little surprise, then, that Costa Rica is considered to be one of the world’s most biodiverse countries. This biodiversity is a resource with enormous potential, both for intellectual and economic purposes and as an instrument for development. It’s also one of the prime reasons to visit this incredible nation. With a tropical climate and an incredible variety of flora and fauna, Costa Rica is one of the world’s biodiversity hotspots. Bordered by Nicaragua to the north and Panama to the south, the country is home to 26 national parks, more than 160 protected areas, and a population of four million. Almost half of the country is covered in forest as it rises dramatically from the white sand beaches of the Pacific and Caribbean coasts. With an active volcano, spectacular rivers, turtle nesting waters, and more, it’s a not-to-miss destination. 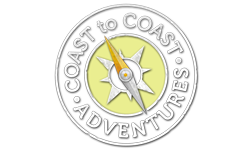 Coast to Coast Adventures has been designing adventures in Costa Rica for years and caters to the free spirit in everyone. 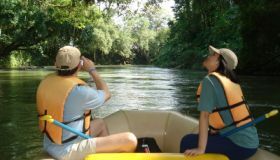 Our groups are small, our guides are experienced, and our trips are always memorable. We create everything from rugged expeditions to family vacations and offer a wide variety of activities, such as whitewater rafting, on- and off-road biking, inland and coastal kayaking, hikes and treks through national parks, and zip-line traverses through rainforest canopies.